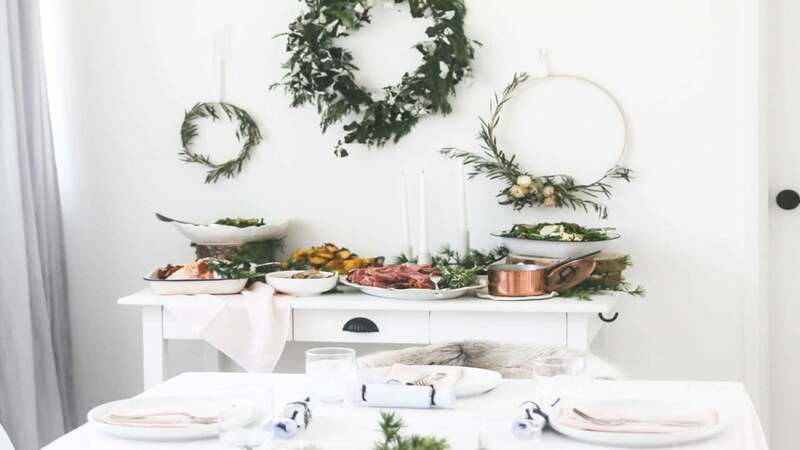 These simple and budget friendly tips will have your home stylish and holiday fresh in no time. It’s almost that time of year again, which means lots of friends and family stopping by to celebrate, so of course you want your home to look its best. Giving your space a refresh can be a daunting task, and knowing where to start and what areas to invest in (especially if you are in a rental) can seem impossible. But refreshing your space into your dream home doesn’t have to be that hard. These simple decorating tips will have your home stylish and holiday ready in no time, and won’t break the bank! Your home should make a statement about your personality. Instead of tying to make every room pop, especially if you’re on a budget, focus on the room where most of the gathering will occur, like the living room for example, and invest in a piece that will be the focal point of the room. Depending on your budget this could be a new sofa, or art piece, or it can be as simple as a bold new color for one wall. Whatever it is, make it a showstopper that showcases your personal style, and will have guests raving for hours. This tip is great for people living in apartments, many of which don’t allow for too much natural light. Head to Ikea or a local thrift shop and pick up floor or wall mirrors that will not only help to multiply the natural light coming from the one or two windows you might have, but will help the space feel more open and add elegance to your decor. Swapping out light fixtures or adding decorative floor lamps is another cost effective way to spruce up your space and add more light. The holidays are all about feeling warm and cozy by the fire, or at least the fake yule log they burn on television. Make your home feel that way for real by adding chunky blankets in warm tones like brown and red, as well as swapping out your usual couch pillows for more festive colors like plaid. Whether it’s your dining table or your coffee table, adding small touches like flowers, candles, mirrored trays or stacked books, can really make you feel like you’re living in a magazine spread, and add personality to your home. Set your dining table for the occasion with tablecloths in warm holiday colors, your “good” dinnerware and even coordinating menus you can easily create and print yourself using programs like Canva.